Hey guys!! Let me introduce myself!! My name is Ashley and I blog over at Whole Foods New Body. Allison was kind enough to ask me to guest blog on Allison's Skinny Jeans! We both have a love for REAL food. I can always appreciate a girl that likes to cook with real ingredients and avoid artificial sweeteners! I eat mainly a "clean"diet. What that means is that I try to eat unprocessed whole foods the majority of the time. There is a little wiggle room when I allow myself to have a treat or a splurge!! Everyone needs those every now and then! I also love to share my favorite workouts and fitness tips!! Let me tell you about this DELICIOUS bread I made the other day! WOW! So good!! 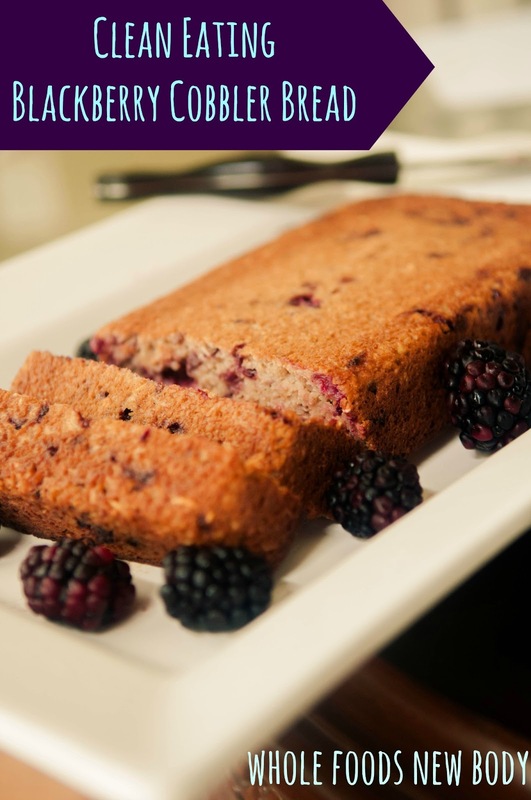 I grew up eating my Grandmother's Blackberry Cobbler. It was my favorite dessert growing up! I haven't had it in years but I remember the taste for sure! I wanted to make a healthier version that I could enjoy everyday without feeling guilty! This bread is great for breakfast, snack or dessert!! I even like to smear a little all natural peanut butter on it! So good!! Combine all ingredients in a medium sized bowl and stir until thoroughly combined. Place in loaf pan sprayed with olive oil or coconut oil spray. Bake for 50 minutes to 1 hour or until golden brown and toothpick comes out clean! 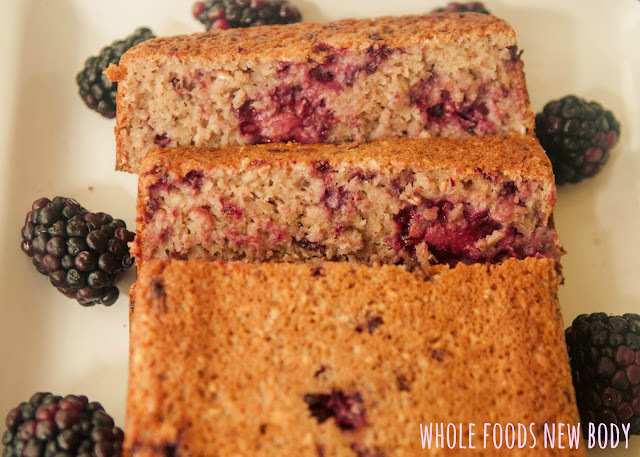 If you don't like blackberries or just love this and want to try another version....Try my Clean Eating Strawberry Banana Bread. It is equally as delicious!